The 3' OctaSpace 3 Lightbank for LED Space Bracket Junior is a soft light modifier meant to be used overhead as a space light or stand mounted and used as a key light with the separately purchased Space Bracket Junior. 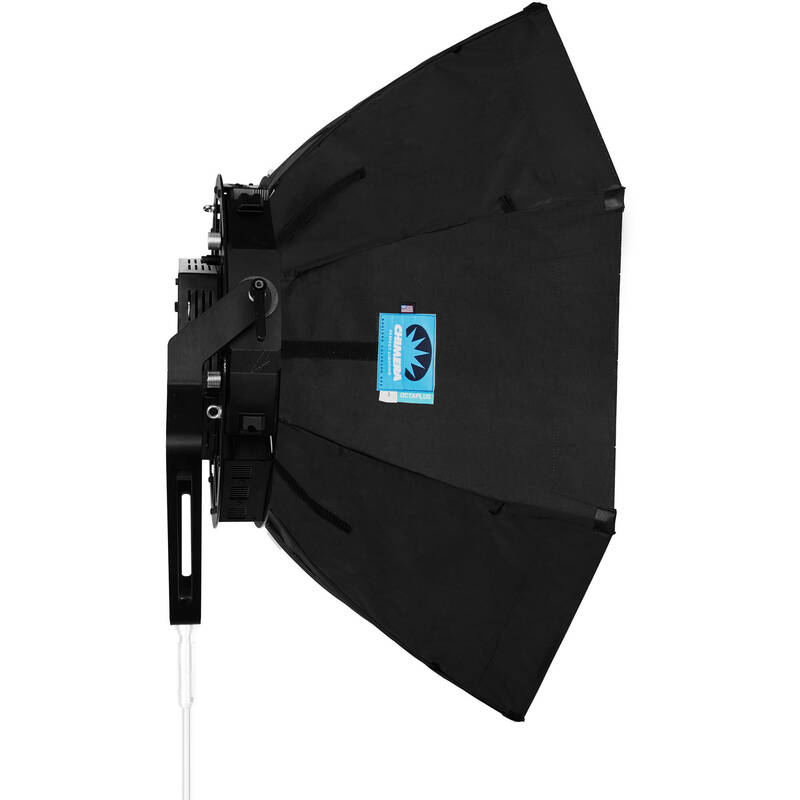 The bracket and lightbank combo is compatible with the Sumolight Sumospace and the Olessen-SSL Reel-Lite Mini fixtures and comes with Full, 1/2 Grid, and 1/4 Grid front diffusion screens for contrast options. Center-Weighted and Single-Weight Baffles are also included for edge-to-edge even distribution. The lightbank's soft silver interior combines high output without the harsh quality that some softboxes with silver reflective interiors display.